Ignorance never doubts. Times are always uncertain. Boldness without doubt is tragedy waiting to happen. Burying doubt, when you feel uncertain, closes minds. Go with your highest points of confidence, even if they’re low. Accept that confidence is never high in turbulent times. 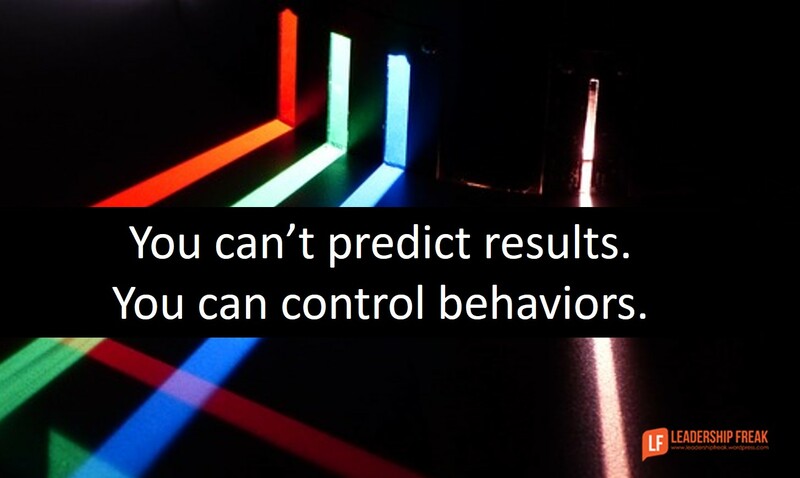 Focus on behaviors more than results. You can’t predict results. You can control behaviors. Make short-term decisions. If you have reasonable certainty that you aren’t doing harm, keep going. Seek advice from someone who has already done it. Express doubts and concerns in private with your inner circle. Explain how you’re preparing in public. Adopt a ‘learn and grow’ approach. Be decisive – stay open. We’re taking action based on what we know. If things change, we’ll reconsider. When we know more, we’ll adjust. Admit mistakes and press forward. Pretending you were right when you were wrong makes you look like a fool. Make a list of everything that could go wrong. Write the likelihood that your concerns will happen. Expend energy on the big rocks. Income will fall below expectation – 20%. Things don’t go from uncertain to certain. They go from uncertain to less uncertain. Which of these suggestions seem most useful to you? I think having an “inner circle” is critical factor. Without one, your mind will wonder and all those doubts will create negativity. Great to read and it’s every leader’s responsibility to erase doubts with his intelligence and intuition.